DECATUR -- Katherine L. Hubbard Johnson, 74, of Decatur, IL passed away on January 10, 2017 at Hickory Point Christian Village in Forsyth, IL. Private services were held on Saturday, January 14, 2017 at the Brintlinger and Earl Funeral Home in Decatur with burial in the Macon Cemetery in Macon, IL. Memorials may be sent to the Humane Society of Decatur and Macon County; 3373 N. Woodford in Decatur, IL. Katherine was born on May 5, 1942 the daughter of Ralph R. and Roberta (Hight) Foster. She married Frank Hubbard in 1964 and later married Jack Johnson in 1996. He passed away in 2010. 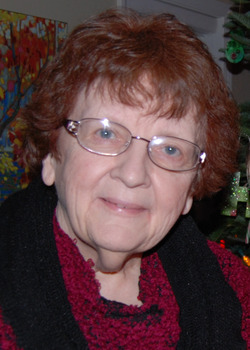 Katherine graduated from Millikin University in 1964 with a degree in Nursing. She earned her Master’s Degree from Sangamon State University in 1980. She began her nursing career at Decatur and Macon County Hospital in Decatur. She later taught LPN classes at St. Mary’s Hospital in Decatur, and ended her career as a nurse for the state of Illinois in 2002. Katherine loved to quilt and play classical music on the piano. She also loved cats, and dogs, especially her Labrador retrievers. Katherine was a member of the D.A.R. and Our Lady of Lourdes Catholic Church in Decatur. Katherine is survived by sons, Frank (Katrina) Hubbard of Forsyth, IL and Erick (Jill) Hubbard of Decatur, IL; one sister, Jo (Phil) Leblanc of Nashville, IN; six grandchildren, Anna Madeleine, Jillian, Emilia, Sam and Sally Hubbard; and two great-grandchildren, Emmalynn and Kennedy. Katherine was preceded in death by her parents. Katherine’s family wishes to express their heartfelt thanks to the staff of Hickory Point Christian Village Haven House for their two years of caring for Katherine during her illness.